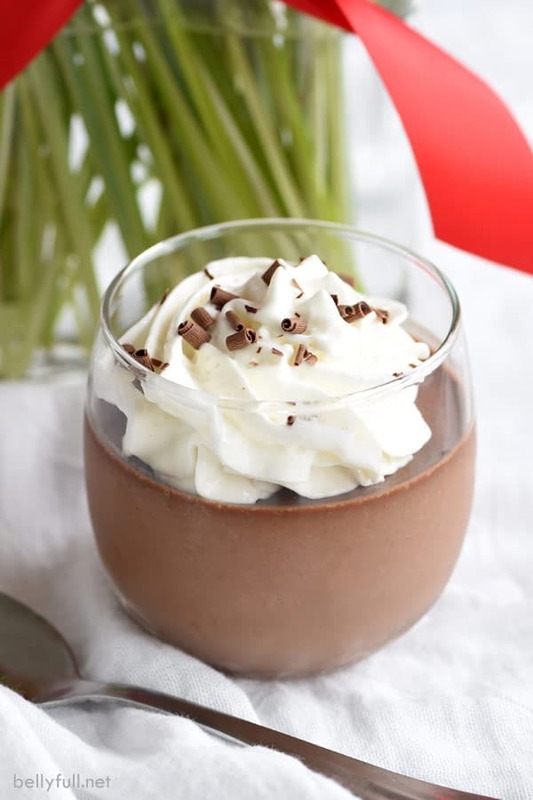 This Simple Chocolate Mousse only requires 6 ingredients and 10 minutes of prep. It’s so easy and completely luscious! This recipe was developed by me for Safeway whom I have an ongoing relationship with. All opinions are 100% my own. Thank you for helping to support the brands that I love and make Belly Full possible! When Paul and I first started dating, he sort of laid his cards on the table immediately and told me that he’s not a chocolate, flower, or card giver. Ok, fair enough. Lucky for him, those things weren’t at all deal breakers for me. Almost 15 years later, I can tell you I have not missed receiving candy, flowers, or cards. He makes up for it 1,000 fold by doing everything else. Literally. He does the laundry, vacuums, he cleans the bathrooms, he’s my plumber, electrician, builder, and never once has he forgotten to call if he’s going to be out later than expected with the guys. He is a hands-on father, and never complains. And everyone knows how much he makes me laugh. I would curl up and die without him, I’m so incredibly spoiled. He’s amazing. BUT, I do love chocolate, and flowers, and cards. I’m not crazy! So, you know what? I simply buy them for myself! We don’t really exchange gifts or go out to dinner for Valentine’s Day, but I love to make it fun for the kids. Safeway’s exclusive debi lilly design™ collection has everything you need to make Valentine’s Day lovely and fun! 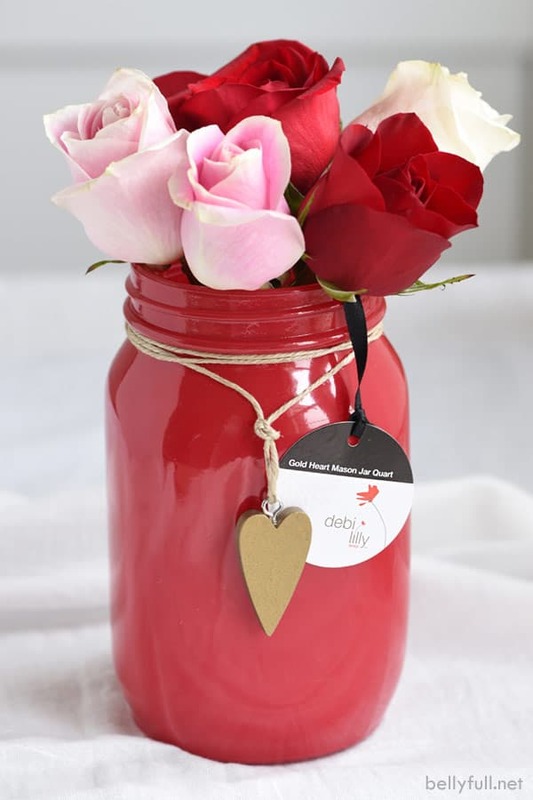 There are so many cute items to choose from like vases, candles, teddy bears, and gorgeous pre-arranged flower bouquets that are ready to “chop & drop” – just simply cut the stems to length and drop them right into a beautiful debi lilly design vase. Aren’t these vases adorable? They come in several different colors, are light weight, but very sturdy. 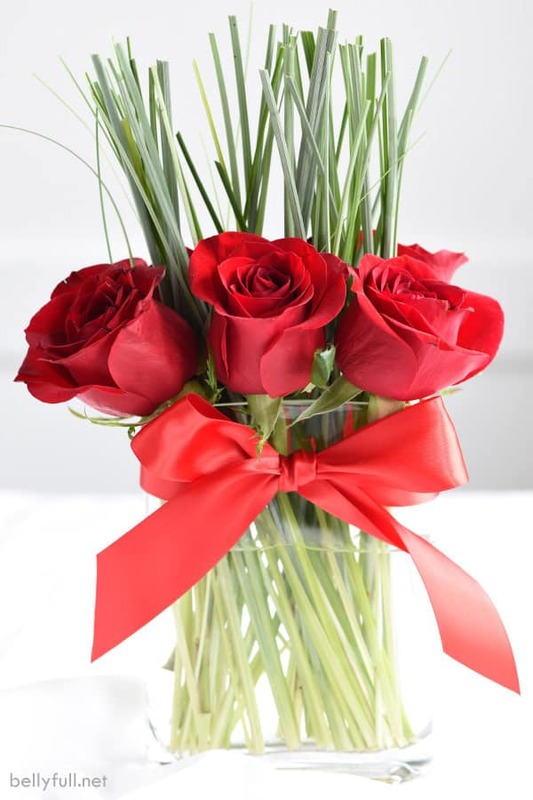 Great quality and so affordable that you could easily decorate a few rooms in your house. And if you don’t want to refill them with more flowers, use them to hold colored pencils! 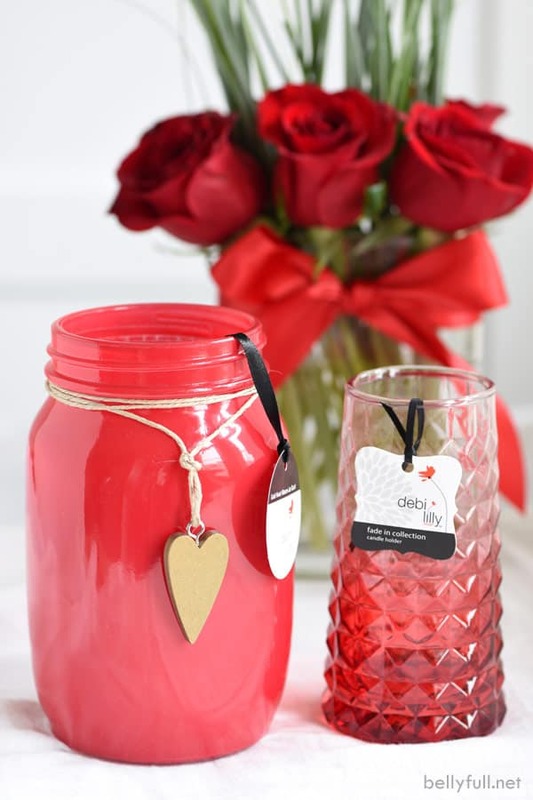 The debi lilly design collection has wonderful, on trend products that are perfect for entertaining any time of year, not just limited to Valentine’s Day. Now what would Cupid’s Day be without chocolate? Sad, I say! 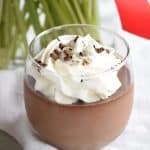 So, in addition to filling the rooms with whimsical containers, I’m whipping up this simple chocolate mousse, and you should, too. Everyone will love you forever. It’s sublime. I buy my recipe ingredients and debi lilly design products at my local Safeway store, but you can also find them at all the Albertsons Companies family of stores, including Albertsons, ACME Markets, Jewel-Osco, Vons, Pavilions, Randalls, Tom Thumb, Shaws, Star Market, United Express, United Supermarkets and Carrs/Safeway. 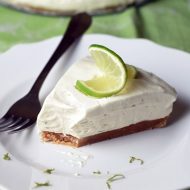 Discover more debi lilly inspiration at Safeway.com/debililly and to find a store near you. For more product information and deals, visit Safeway’s website, Facebook page, on Pinterest, Twitter, and Instagram. Mix together the chocolate, salt, and espresso powder (if using) in a medium bowl. Heat milk until steaming and pour over the chocolate. Let sit for 1-2 minutes, then stir until combined and smooth. Allow to cool. 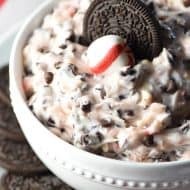 In another medium bowl, whip the cream, sugar, and vanilla with an electric mixer until soft peaks form, about 1-2 minutes. Gently fold into the cooled melted chocolate. Pour mixture into 4 (4 ounce) ramekins or small tumbler glasses. 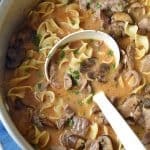 Refrigerate at least 3 hours or overnight. 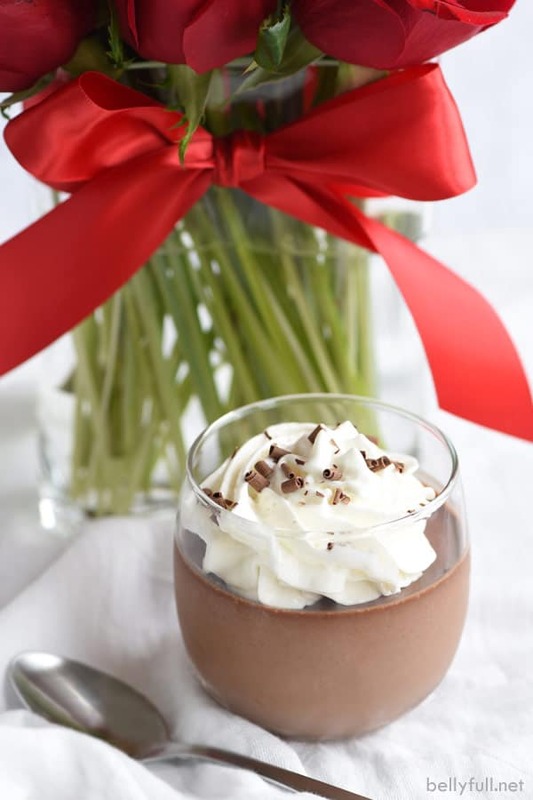 Dollop with some whipped cream and chocolate shavings and enjoy! 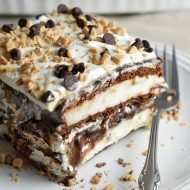 Other chocolate recipes you might enjoy! Made this tonight for company. Did not have whole milk, so used 1/4 cup 2% milk and 1/4 cup Irish Creme! Turned out great! Just enough for 4 adults to have a light dessert after dinner. Thanks for the easy great recipe. Could you aliquot the mousse into cupcake wrappers in a cupcake pan to set, or would that be too messy? 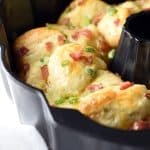 Really excited to try this recipe, but I want to make it for a large group/don’t have enough small cups. I wouldn’t recommend that. The mixture is too wet and loose until solidified. They do have the little plastic cupcake cups at Walmart I think. You can buy small sturdy paper “sundae” cups at the craft store . I can’t wait to try this easy recipe. Sounds so yummy. I’m sure my husband will appreciate it and love it. Can I use 2% milk instead of whole milk to make the chocolate mousse? It does look really good by the way!! Hi Kelly – for optimal results, you need whole milk which provides the full fat in order for this to set properly. Where did u get the glasses from? Oh gosh…I’ve had them for ages. I think Target. I tried this recipe to the letter. But it did not set. Is there a way to salvage it? Sorry to hear that, Patty. I’ve made this more times than I can count and never have any issues. Amy before you add the heavy cream mixture, do you let the chocolate chips mixture cool off? By the time they’ve melted and you’ve made your whipped cream, which is about 4-5 minutes later, the chocolate has already cooled enough. I thought I read all the comments. Bummer. Mine failed too. Cooling the chocolate is an important step hhahaha. The “melted chocolate” got me. Trial 2 this morning! I can do this! Have never made chocolate mousse! 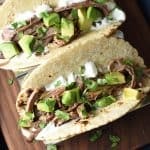 Am trying this recipe! Sounds good! I don’t know why but I have never made chocolate mousse and I love it! Especially Mexican with a little cinnamon and chile powder. I have everything on hand so I foresee some mousse in my future this weekend. Hey, I’d go for the laundry over cards any day! I’d still like to know how Paul gets his shirts so white.